For the Past 18 years, Ricardo Rosenkranz has been a student of the legendary Eugene Burger. As a Magical Performer, Ricardo has been often seen on the stage of Magic Chicago, and is a regular performer and lecturer at the annual Magic and Meaning Conference in Las Vegas. Most Recently he completed a highly successful run at the legendary Magic Castle in Los Angeles. In 2017 Dr. Rosenkranz was invited to perform for Penn & Teller's Fool Us on the CW Network. Ricardo is a regular guest faculty at The McBride Magic and Mystery School in Las Vegas, one of the premier schools of magic in the world. In 2015 Ricardo was elected to membership in England’s prestigious and exclusive magician’s society, The Magic Circle. In 2017 Dr. Rosenkranz was awarded the title of Associate of the Inner Magic Circle with Silver Star by the Magic Circle leadership. In addition to studying magic with Eugene Burger, Ricardo has been extensively mentored by some of the greatest magicians of our time, notably Jeff McBride, Ross Johnson and Johnny Thompson. Born in Mexico City, Mexico, Ricardo Rosenkranz is Assistant Professor in Clinical Pediatrics at the Northwestern University Feinberg School of Medicine. Ricardo holds Bachelor and Master of Science Degrees from Stanford University. He obtained his Medical Degree from Cornell University Medical School in 1990, completed a Pediatric Residency and a Fellowship in Neonatal-Perinatal Medicine at Northwestern University in 1993 and 1996 respectively. Dr. Rosenkranz is primarily interested in the development of innovative and effective patient-centered, quality driven health care delivery models for multiple settings and communities. Dr. Rosenkranz was for the past fifteen years the Co-Founder of Inovamed, S.A. de CV, a health care services provider in Mexico. Inovamed is credited with the successful financial and quality-driven turnaround of one of Mexico City's oldest private hospitals. Dr. Rosenkranz devotes a significant portion of his time to teaching at the Feinberg School of Medicine where he has been an active participant in new curriculum development. For his contributions to excellence in teaching Dr. Rosenkranz has been recognized with multiple awards. In conjunction with the Medical Humanities and Bioethics Program at Northwestern, Dr. Rosenkranz created the nation’s first medical school curriculum for the study of magic and medicine. Created for first and second year medical students, these courses explore the performance aspects of medicine and the anthropological relationship between medicine and the magical arts. The principal aim is to help medical students develop a more sophisticated and deeper understanding of the doctor-patient relationship. 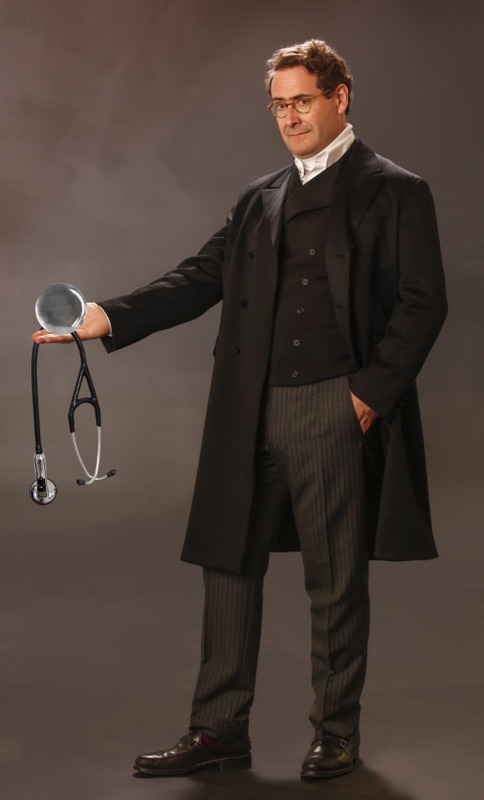 The success of his Magic and Medicine courses has spilled over to graduate medical education where Dr. Rosenkranz has taught similar courses elsewhere. He is a regular lecturer of this topic at Stanford University where he recently was the featured presenter for Medical Grand Rounds. Since 2011, Dr. Rosenkranz has led the Course in Magic and Medicine at the McBride’s Magic & Mystery School in Las Vegas. In 2015 he delivered a TED talk at TEDxNorthwestern. Dr. Rosenkranz has been featured in the Chicago Tribune, Health Leaders Magazine and The Northwestern Magazine. Recently, his work was profiled in Magic Magazine. He has many appearances on local television to his credit. Ricardo Rosenkranz is a Trustee and Vice Chair of the Harris Theatre for Music and Dance and is also a Trustee of the Lyric Opera of Chicago. Dr. and Mrs. Rosenkranz are strong supporters of Chicago’s performing arts community. Dr. Rosenkranz lives in Chicago with Laura, his beautiful wife of nearly twenty-six years and their three children Alejandro, Anna Cecilia and Sophia.